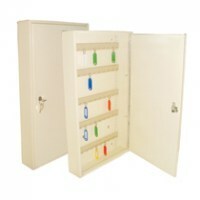 Often found within larger organisations, key cabinets can be used to house and organise a large number of keys. 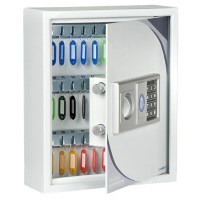 Key cabinets can be secured in a number of different ways, simple key and lock, combination lock or Euro Cylinder, to be included with a suite of other locks. 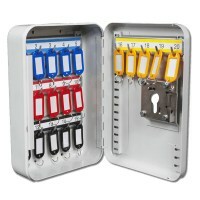 Keys are stored on removable hooks that can be changed and numbered as required. 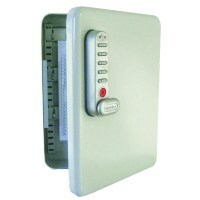 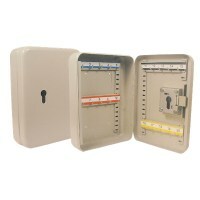 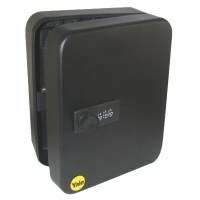 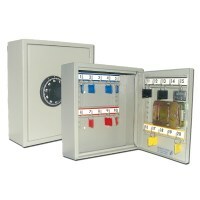 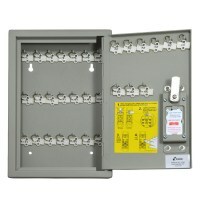 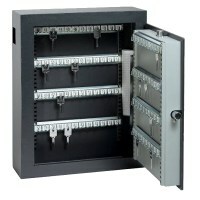 Secured to a solid wall, and with heavy duty steel case, once fitted key cabinets are hard to penetrate. 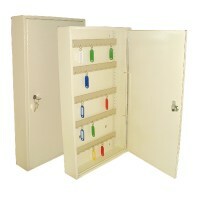 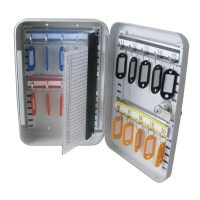 Looking for a Key cabinet, you cannot go wrong with this large range of key cabinets from locktrader.